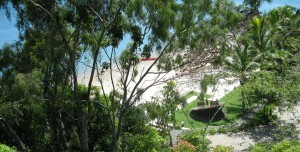 Spa qualia sits at the heart of the resort. Like all qualia buildings, it is designed to draw the outside in and awaken the sensory imagination. 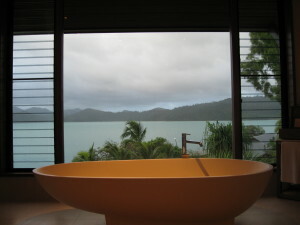 Soft salt breezes waft in from the sea and the views out over the Whitsundays are sublime. The Spa qualia ethos is to provide a unique Australian experience whilst respecting both the health and wellbeing of clients and the precious island environment. 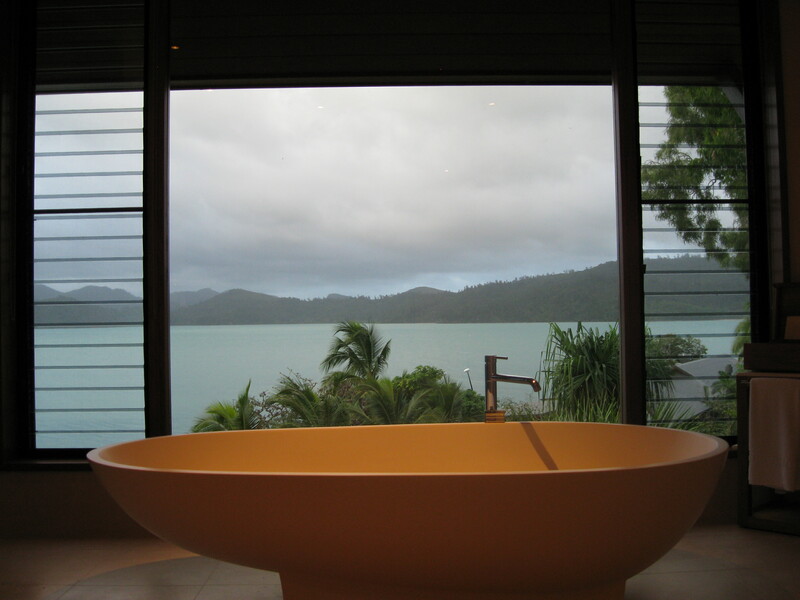 All Spa qualia’s treatments are authentically Australian, drawing on indigenous, yet contemporary approaches. They aim to rebalance the synergy between mind and body and to capture the essence of Australia and the Great Barrier Reef. All the products used have been selected because they embody the Spa qualia ethos. Spa qualia offers ten different categories of luxury spa experiences – Sublime Facials, Quintessential Massage, Footprints and Fingerprints (manicures and pedicures), Indigenous Offerings, It’s a Man’s World, Signature Ceremonies, Additional Indulgences, Body Elements, Couples Treatments and the Day Spa Experience. Within those categories are dozens of different treatments. After careful study and with my sensory imagination fully fired, I settle for a Sublime Facial called Aquum Elixir, a warm infusing mask with an intensive boost of vitamins and minerals which promises to saturate my skin for deep nourishment, hydration, firming and regeneration – fabulous! From It’s a Man’s World, my husband chooses Wild Oats, a full body salt scrub, rain shower, hydrating back massage, spa facial, scalp treatment, hand and foot treatment. . The Spa qualia experience fulfils all of its promises. It’s pure luxury and indulgence and it’s definitely a deeper sensory experience. After breakfast in qualia’s Long Pavilion, we sit dithering over the lengthy list of daily activities which was left on our bedside table the previous night. Finally, we decide to stay and explore the experiences on offer within the qualia complex – the library, the shop and the spa. Reading, shopping and massages – my favourite things! Tucked away in a quiet corner in the Long Pavilion, qualia’s library houses a unique and eclectic collection of works, from rare books and limited editions to best sellers. You can browse through a signed copy of fashion photographer Mario Testino’s Let Me In or launch into a light romance. The library also offers a range of the world’s most stylish parlour games by Renzo Romagnoli, a handmade chess set and Hermés playing cards. Quiet, cut off from the outside world and all its temptations, the qualia library is the ideal reader’s and writer’s retreat. I settle into a deep, comfortable chair whip out notebook and pen and begin a new post. Suddenly, the morning is over. But before and even on the way to lunch, there’s time for a spot of shopping. The qualia boutique is conveniently located just opposite the entrance to the Long Pavilion. If you find yourself stranded with ”nothing to wear’ for your next qualia evening, snag your bikini on the coral or just have a yen for something new and fabulous, head to the qualia boutique. Girl or guy, among its exclusive designer collection, including Collette Dinnigan, Camilla Franks, Marc Cain, Just Cavalli, Bulgari, Prada, Zegna and Melissa Odabash, you’ll certainly find something to meet your need or your desire. As it’s been an indoor morning, we lunch outdoors, on qualia burgers (these are no ordinary bun, meat and greens combo but another sensory experience!) and fries (again no ordinary chip!) on deck chairs, beside the garden pool.